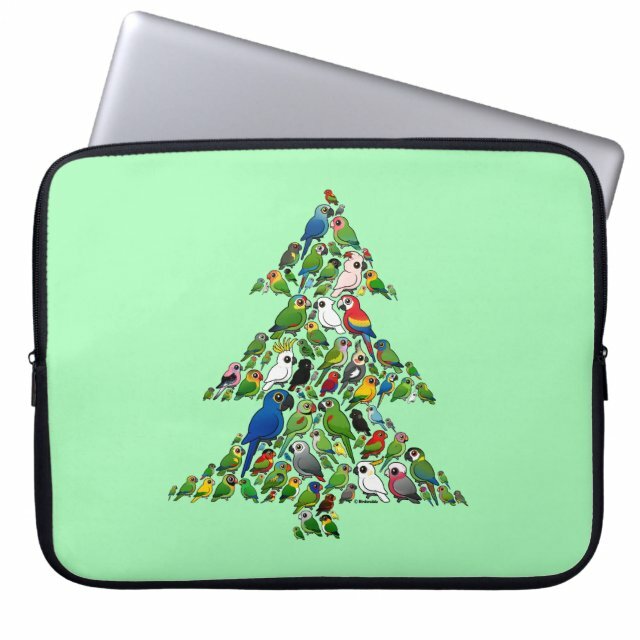 Cute Parrot Christmas Tree Neoprene Laptop Sleeve 15"
A flock of psittacines perch together to make up the cutest Christmas tree on the wing! What an adorable design for parrot lovers for the holiday season! This gift is fully customizable so you can truly make it your own! Add text, move the design, add your own images, have fun! Protect your laptop with a custom laptop sleeve. Made with 100% neoprene, these lightweight and water resistant sleeves look great with your photos, text, or designs. Great for travel or just day-to-day use, custom laptop sleeves come in three sizes to fit your device and your style.